For the past 72 years, we have continued our mission of transforming the lives of students in the eastern Los Angeles area through education and career opportunities. 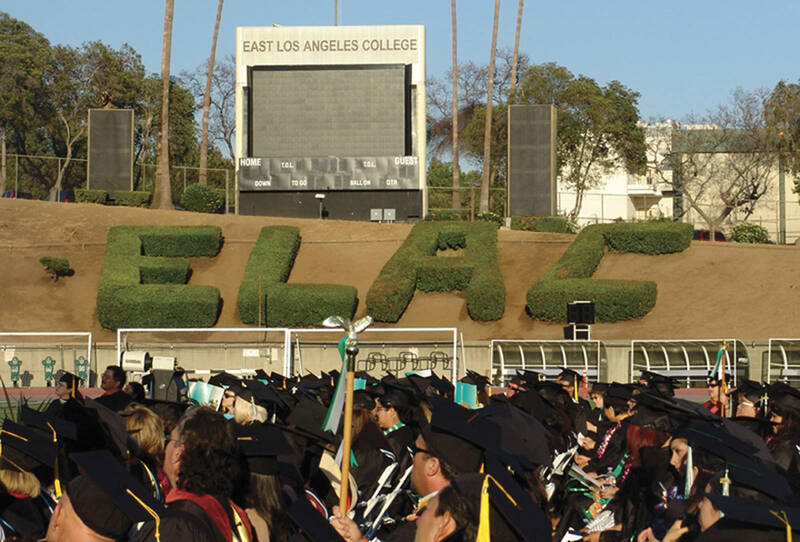 East Los Angeles College (ELAC) boasts a 86% retention rate and 71% success rate and continues to increase the number of graduates and transfers to four-year universities each year. We were recently ranked #13 in the nation and #2 in California by Washington Monthly magazine’s 2016 “Best Two-Year Colleges for Adult Learners. Furthermore, we are ranked 12th in CSU-Transfers (up from 20th) and ranked 15th in UC Transfers (up from 20th) for transfers to 4-year universities. Regardless of all of our achievements, we have students struggling with homelessness, and every year many of our students can’t afford their textbooks, supplies, and transportation. Furthermore, your support will expand future career pathways and college readiness opportunities, along with other services that ELAC students need in order to succeed. Every dollar, every donor transforms the lives of our students. May you help us transform a life today!